Filipino IBF world light flyweight champion Milan Melindo is set to defend is title in September 2017 in Pinoy Pride 42 that will be held in Cebu. Melindo who won his IBF light flyweight title against Akira Yaegasghi via stunning 1st round KO is now scheduled for the first defense of his title. The opponent is yet to name, but they will surely provide a caliber challenger for Melindo. 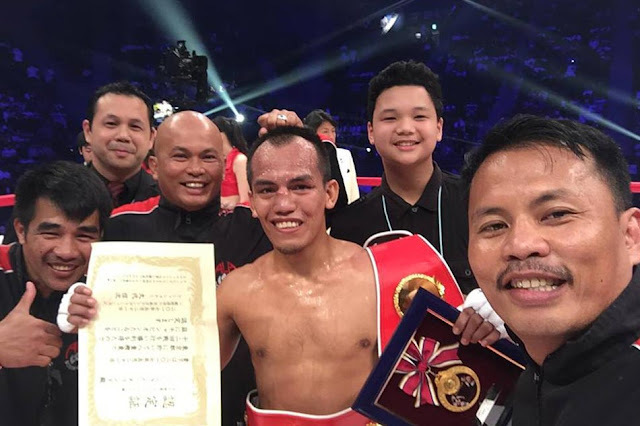 Melindo tried three times to win the world title, he was defeated by Juan Francisco Estrada in 2013, and also lost to Javier Mendoza in 2015, but finally the after a bit hard work Melindo lastly became a regular world champion last May of 2017.